On Saturday, November 5, 2016, Warriors Boxing will present “Night of the Rising Stars,” a unique evening of professional boxing amid the all-out party atmosphere of Florida's #1 Concert/Club Venue in the State, Club Cinema in Pompano Beach, Florida, and featuring many of South Florida’s brightest up-and-coming prospects, as well as many surprises and special guests. 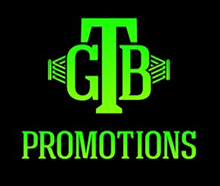 The boxing celebration will be headlined by a quintet of Florida fighters, JD “Pretty Boy” Martinez (1-0), Daniel “Raspy” Placeres (2-0, 1 KO), Chasity Martin (3-0, 1 KO), Anthony Martinez (pro debut) and Robert Daniels Jr. (pro debut) in separate four-round bouts. Tickets for “Night of the Rising Stars” are priced at $120 VIP Seat, $75 Reserve and $35 General Admission and are available by visiting www.warriorsboxing.com or Ticketforce.com or by calling 954.985.1155. 27-year-old super welterweight JD “Pretty Boy” Martinez was born into boxing. His father, Anthony Sr., was once rated #6 in the world and his uncle, Fernando “Mad Dog” Martinez was rated #4. Martinez was 14-2 as an amateur and won the 2009 Golden Gloves and Florida PAL Championships. An successful entrepreneur away from the gym, Martine owns a Christmas tree business that supplies 12000 trees every year to the Miami area, as well as pumpkin outlet that supplies over 3000 pumpkins. He also owns seven locations that sells fireworks. Martinez trains at the world Famous 5th Street Gym under Dino Spencer. 28-year-old Daniel “Raspy” Placeres is an undefeated lightweight from Miami. Placeres had a very short amateur career, going 4-1, but learned to box in the gym, sparring world-class fighters such as current WBA Super World Super Bantamweight Champion Guillermo Rigondeaux, former world champion Yuriorkis Gamboa, and former world champion Richar Abril. 30-year-old junior middleweight Anthony Martinez went 22-3 as an amateur boxer, winning the Florida Golden Gloves and State Championships. A natural to boxing, Martinez’s in-ring patience and technical skill combined with above-average power make him a strong candidate for success in the professional game. 23-year-old southpaw super middleweight Robert Daniels Jr. is the son of former cruiserweight world champion Robert "Preacherman" Daniels, the only Miami-born fighter to hold a major world title. Daniels Jr. started boxing at 10 years old and went 64-6 as an amateur boxer. Among his many accolades, he won the Sunshine State Games twice, the State title twice, the Platinum Gloves, the Junior Olympic regionals. A boxer/puncher with excellent counter-punching skills, Daniels is trained by former world champion John David Jackson. “It feels great. I’ve been waiting a long time to turn professional,” said Daniels. “It feels great to be staring my professional career and get South Florida-based people behind me. 19-year-old super featherweight Chasity “The Queen of Pompano Beach” Martin had a stellar amateur boxing career, where she was ranked #1 in Florida and #3 in the country while winning the 2015 Sunshine State Games, the Junior Silver Gloves, the State Junior Olympics, and the Florida Golden Gloves. She is trained by former Mike Tyson trainer, Stacy McKinley, at Gold's Gym in Deerfield Beach. Promoter Leon Margules of Warriors Boxing says he hopes “Night of the Rising Stars” becomes a series of shows in South Florida. “We are glad to return to a premier venue in South Florida with an abundance of new talent,” said Luis DeCubas, Warriors Boxing COO. Consistently voted the #1 venue in the State, Club Cinema is an approximately 3500-seat three-floor nightclub and hall in Broward County that regularly hosts some of the world’s top recording artists and music festivals. Boasting thousands of square feet of space, open bars everywhere and amazing sound and light systems, Club Cinema is the center of South Florida’s night life. Opponents and undercard will be announced shortly. Stay tuned for several other special announcements. On fight night, doors open at 6:30 pm and the action starts at 7:00 pm. All bouts subject to change. Club Cinema is located at 3251 N Federal Highway in Pompano Beach.